Getting a good pre-owned car requires active research and in-depth investigation skills. The customer should learn how to identify a reliable used vehicle. 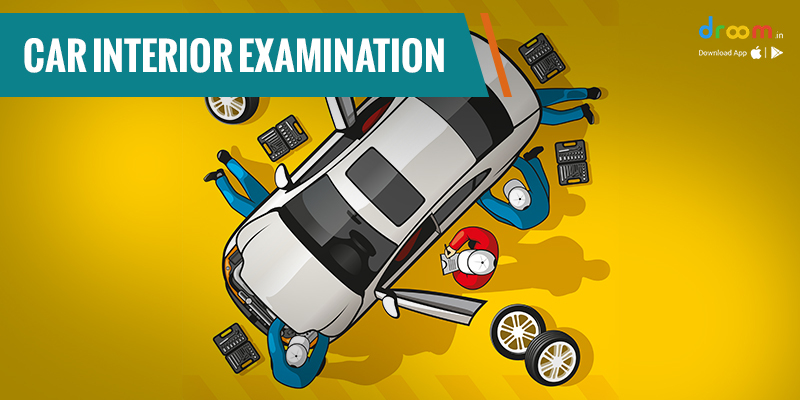 This includes the basic inspection required to determine the condition of the vehicle. There are many resources and tools that will help you to make an educated buying decision. Make a list of car models you are interested to purchase. 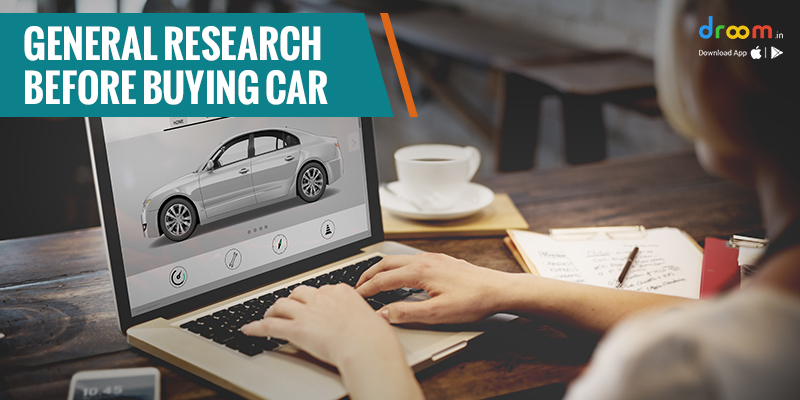 Do active research on each Car model, identify the common defects, repair cost and depreciation value. With these research results, you will have the added information about the vehicle that will help in physical inspection of the vehicle. A customer should ask as many questions as possible to the seller. For example: The reason of selling the car, list of previous owners, description of exact condition, mileage on the odometer, service or repair history and other details. 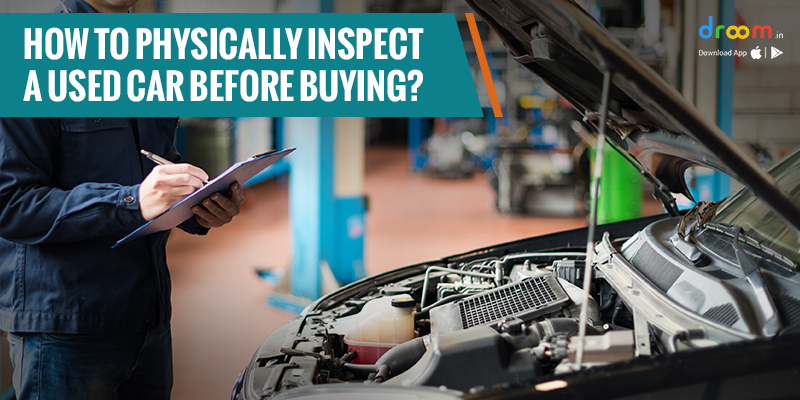 This probing will help the buyer to get an idea about the value and condition of the vehicle. It is recommended to go for a physical inspection during daytime, in order to check the paint, dents, dings, rust marks and scratches. Along with this, take the car to an automobile expert for detailed inspection of the vehicle. Sometimes, the seller may not share the complete information of the vehicle. In such cases, you can use the 17-digit unique Vehicle Identification Number (VIN), that is provided at several places on the vehicle. The easiest way to locate the VIN is to view the stand outside and look at the corner of the dashboard of your vehicle. Using this, the customer can fetch the information, including the year, make, model, engine size, country and factory where the car was manufactured. 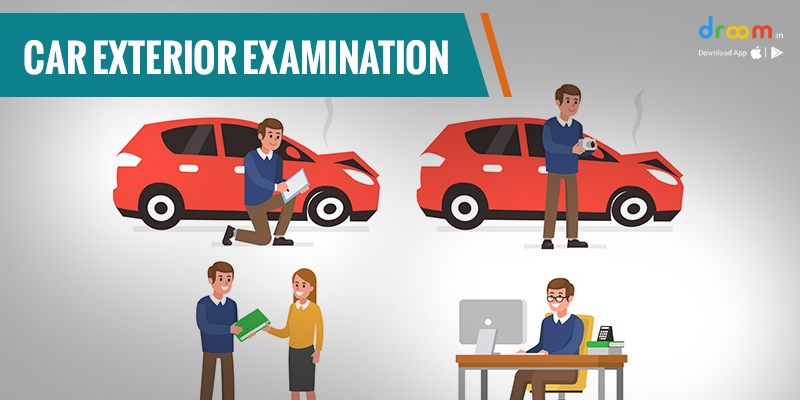 The exterior inspection is to determine the condition of the vehicle’s body, glass, suspension, lights, lenses and tyres. 1. Body Condition: The customer should examine the vehicle’s body and check if in case any scratches, dents or rust has affected the vehicle. If the vehicle is repainted, you can check the rubber seals around the hook and trunk lid to confirm. The paint color and finish are same for every panel of the body. Also, examine the wheel wells, rocker panel beneath the doors, and the door bottoms. 2. Lights and Lenses: The customer should check all the glasses and there should not be any cracks to affect the view. The light lenses and reflectors must be intact with no cracks or moisture. 3. Suspension: Bounce the car from each corner up and down, to check the shock absorbers and the car should rebound only once. Also, if you hear a clunking or ticking sound, the wheel bearing or suspension joints may be shot. 4. Tyres: All tyres are worn out and replaced almost at the same time. Check the tyres are same, in case of any variation you can cross check with the seller. The tyres must have at-least 1/16 inch of tread to be legal. Most of the types are branded with the month and year of manufacture. The customer can compare the year of tyre manufacture with the car in order to get better insights. 1. Seat and Pedals: Try out all the seats, check the condition and adjustment to make sure they work properly. The rubber placed on the brake, clutch, and gas pedals will give the indication of use. 2. Instruments and Controls: Turn on the ignition switch, without starting the engine. All warning lights should glow within seconds and go off when you start the car’s engine. Also, analyze the switch, button and lever of the vehicle. Start the air conditioner to check how quickly it blows cold air. 3. Sound System: Monitor the radio reception of AM and FM. If there is a CD player, try inserting and ejecting a disc. Along with this, test out the connection for playing an MP3 player and iPod in the car. It is important to take a test drive before closing the deal. The test drive will be a thorough examination of each component of the car. This includes the steering wheel alignment, brakes, windshield wipers, air conditioning or heating, power window, lights and lenses. So, when you are well-versed with the physical examination of a used car. Book an appointment to purchase a pre-owned car from a seller near you.